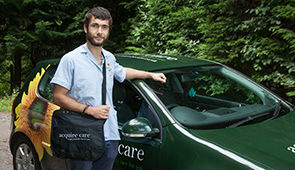 This website is owned by Acquire Care Ltd of Shotover Kilns, Shotover Hill, Headington, Oxford. OX3 8ST. The website is protected by both copyright and database terms. Your continued use of this website indicates that you accept these terms and conditions. At no time should any part of this website be copied and/or used for commercial or private use. It is also agreed that any information and advertising material which is in our website, catalogues or brochures are there to give an approximate idea of the Care Services supplied by us. At no time, should you rely on any statement, promise, representation, assurance or warranty made or given by us which is not set out in the Care Agreement. All Care Agreements are individual to each Client. The Care Agreements that are given to our Clients also include our Terms and Conditions of Business. However, a copy of our Terms and Conditions of Business can also be requested by contacting the Office. If any of our Terms and Conditions conflict with any term of the Care Agreement, the Care Agreement will take priority. 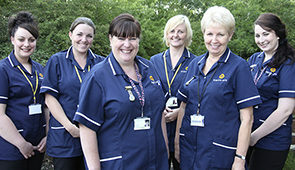 Caring is a very rewarding and flexible profession and could be right for you. Excellent rates of pay and travel allowance are offered. We are looking for full and part time flexible people who can work at our busiest periods.